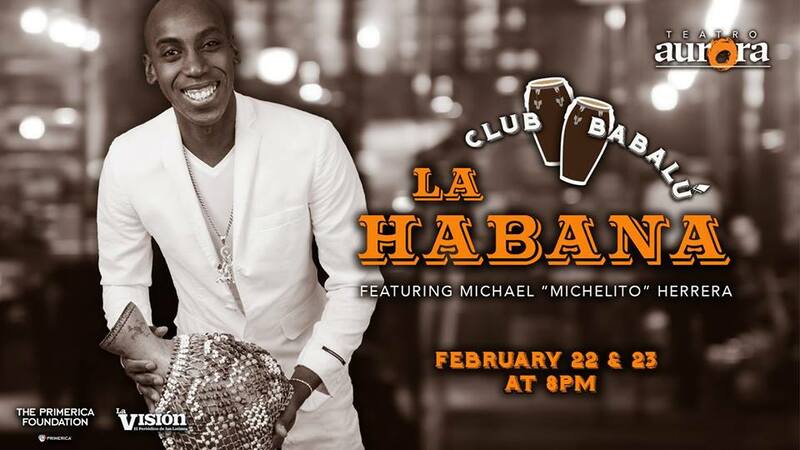 Club Babalú will heat things up this February with special guest Michael “Michelito” Herrera, founding member of the legendary Cuban group Yoruba Andabo. A native of Havana, he will join Frankie Quiñones and the Atlanta Salsa All-Stars to explore the unique rhythm of Rumba from it’s Afro-Cuban roots through today. Experience this musical journey into the deep folkloric Cuban origins of Havana better known as La Habana After intermission we will clear away the café tables for a caliente Cuban dance party!